Panel includes instructions to create a book. 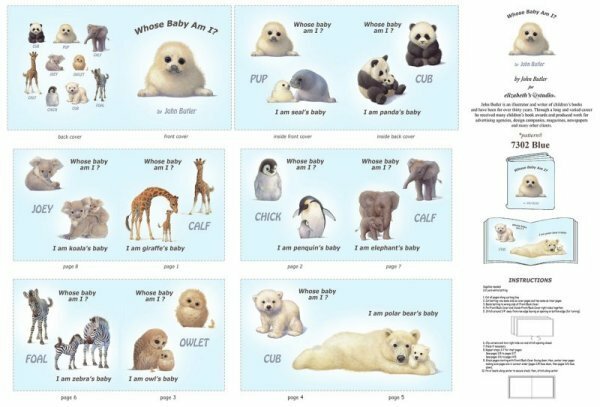 Features baby animals including owl, panda, giraffe, seal, elephant, penguin, polar bear, zebra and koala. Simply adorable.